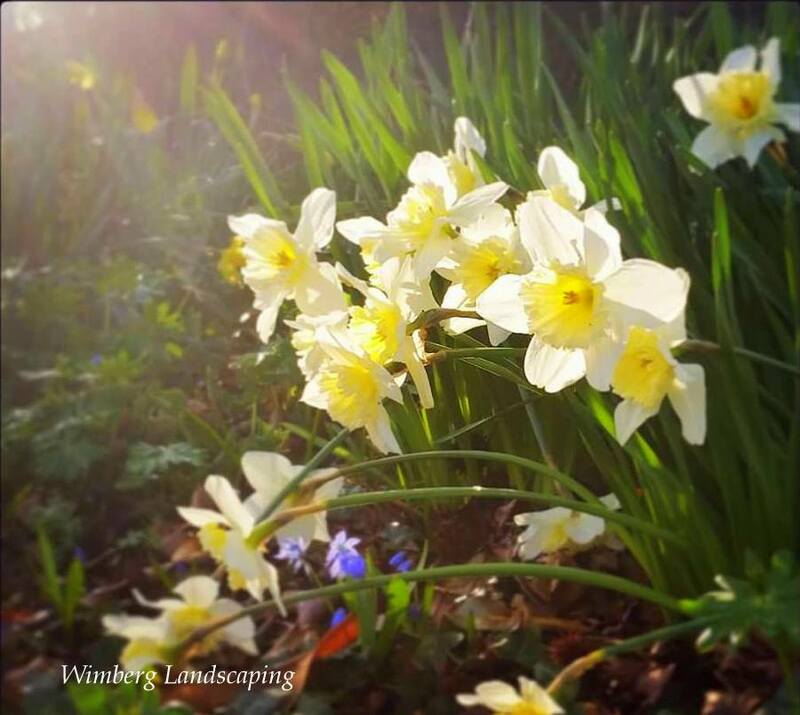 Wimberg Blog | PLANNING BULBS FOR FALL PLANTING, NOW! Your garden designer would love to talk to you about bulbs for fall planting, now. Yes, we know it’s early spring and we are still waiting for the chance of flurries to cease. But now is the perfect time to talk about adding fall planted bulbs to your garden. Plan Now, Plant Later: Bulbs for fall planting are starting to bloom now. Daffodils, Scilla siberica, snowdrops and tulips will be adorning the gardens with their gorgeous colors. So now is the best time to see where your early- to late-spring garden could use an infusion of color. Partner Planting: Some plants just look better when partnered with another plant. Their colors, textures and sizes complement each other to give a garden a more thoughtful, finished look. Also, spring flowering bulbs need time for their foliage to replenish their bulbs and die back on their own schedule. This leaves, at times, unsightly clumps of foliage in the garden. If we know a client desires daffodils, we can then add supporting plants to fill the interest void when the daffodils are done blooming and draw attention away from the fading foliage. No Time Like the Present: Landscape firms do their ordering of fall planted bulbs very early. Once we see where a garden needs the spring color, it’s best to make a plan indicating where the future bulbs are to be installed and get the bulbs on the order list. Before too long, summer comes and thoughts of what we want to see in the spring garden become fuzzy. While spring has us in it’s grip, let’s use this time to take a critical eye to our spring gardens and see where we could use an infusion of spring flowering bulbs.